On a $25 million budget, 2009’s Taken opened to $25 million, went on to gross $145 million in North America and another $81 million overseas. Every penny was deserved. Taken ended up being one of the most satisfying revenge films we’ve seen in a long, long time. And we were overdue. Star Liam Neeson’s one man, politically incorrect rampage to rescue his kidnapped daughter was a thing of B-movie beauty. 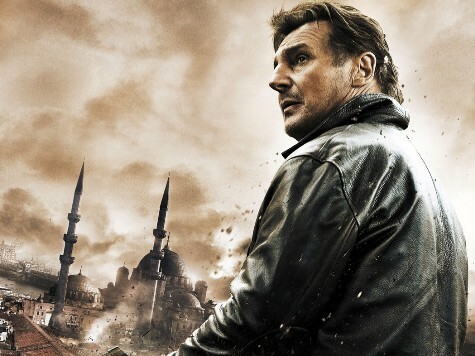 Three years later, on a $45 million budget, Taken 2 opened to $49 million, grabbed $139 million domestic and another incredible $236 million worldwide. Unfortunately, the sequel pretty much sucked, especially the anti-climactic ending. My lousy memory allows me to forget plenty about almost every movie I see. One thing I never forget, though, is how a movie made me feel. All I remember feeling for 91 minutes of Taken 2 is disappointment and even a touch of boredom. The threequel looks promising, at least like it won’t be boring. And killing a wife is always a nice start for a revenge film. Taken 3 — sorry, Tak3n — opens January 9.